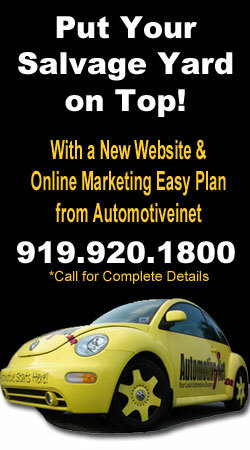 Automotiveinet strives to offer the most powerful and “trusted” automotive guides on the Internet. If you are an established Junk Car Buyer in NC, have been in business at least 12 months with proven moral and ethical business practices, and you would like an affordable and effective way to connect with customers, please fill out the quick form below and one of our Automotiveinet Business Consultants will contact you today! If you prefer, you can give us a call at (919) – 920-1800. We look forward to making your automotive company part of the Junk Car Buyers NC Network.